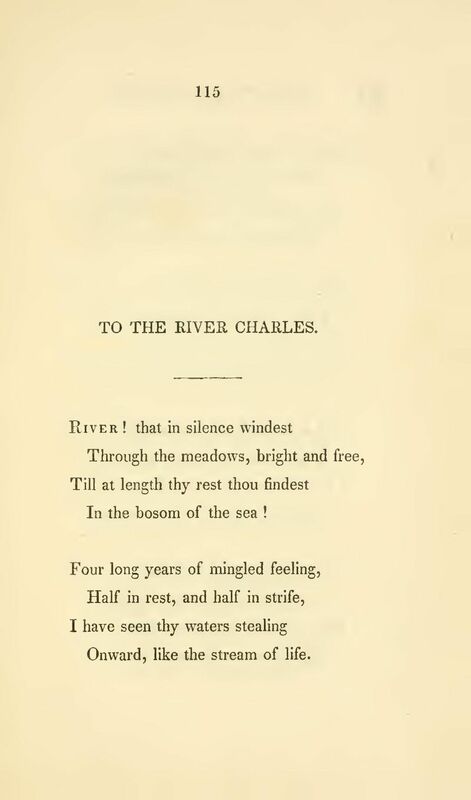 ’T is for this, thou Silent River! Teksten følger Henry Wadsworth Longfellow: Ballads and other Poems, 2nd edition, John Owen, Cambridge, 1842, pp. 115–117.